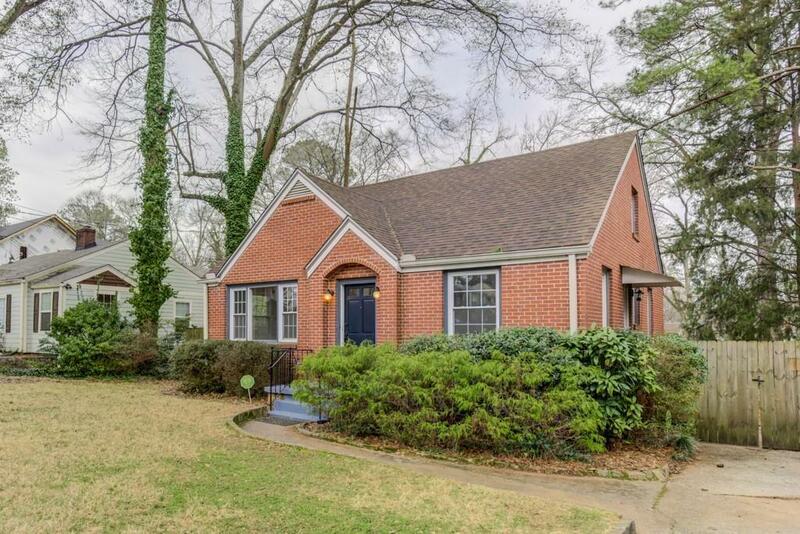 This classic brick bungalow in East Lake is move in ready with new paint & refinished hardwood floors throughout. The renovated kitchen boasts soapstone countertops, tiled backsplash & stainless appl package; Large rooms include separate living & dining, and spacious secondary bedrooms w/updated guest bath. The second floor owners suite offers tall ceiling height, extra windows & updated bathroom. But wait, there is more - you will LOVE the huge, fenced yard with large patio, firepit area & outbuilding. Great street, less than a mile to the heart of Oakhurst Village! Directions: From Downtown, Take Ponce East, Towards Decatur. Veer Right On East Lake Rd, Which Turns Into East Lake Dr. After Going Through Oakhurst Village, Take A Left On Knox. Home On Right At End.